The By-Laws of Local Union No. 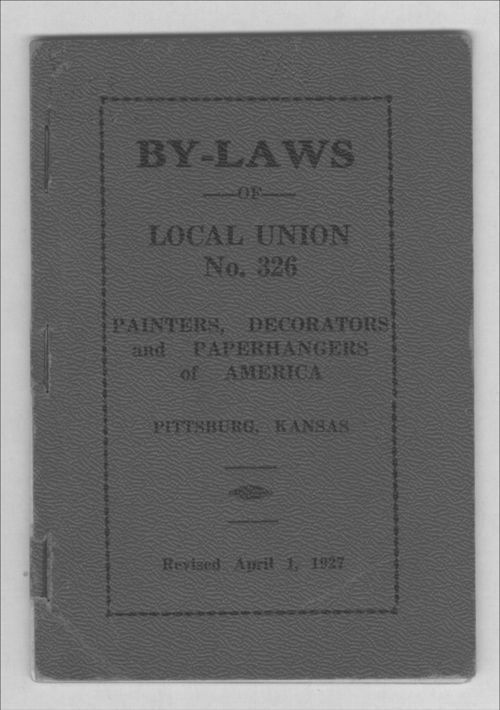 326, Painters, Decorators, and Paperhangers of America in Pittsburg, Kansas. The Union's purpose was to promote and ensure better welfare and prosperity for its members.